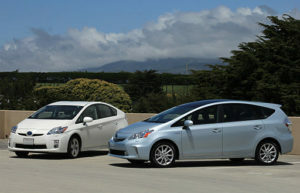 Is the proposed hybrid/electric vehicle tax a good idea? In February, Maine’s Governor LePage proposed implementing a fee on the owners of electric and hybrid vehicles. He is not alone – 17 other states have already implemented similar fees). It may seem, at first glance, to be yet another slap in the faces of “liberal-minded environmentalists.” But giving the Governor the benefit of the doubt, it’s actually attempting to solve a problem that’s been seemingly intractable for years: that the state highway trust fund is overextended, at a time when the state’s infrastructure is badly in need of investment. Maine, of course, is not alone. The Federal Highway Trust fund, which is primarily funded by federal taxes on gasoline, is also underfunded and over-extended. Much like other issues in Congress, though, potential solutions seem to be few and far between, and no politician wants to propose anything as unpalatable as a tax increase. So, what’s the problem? The highway funds at both the federal and the state level are funded primarily through taxes on gasoline. In Maine, slightly less than 70% of revenues earmarked for the State Highway Fund are from gasoline taxes. Another 27% come from vehicle registrations and fees, leaving the remaining 3% to come from various other sources. In 1991, the first year for which revenue for the highway fund is reported on the legislature’s web site , the highway fund received approximately $197 million (or approximately $363 million in today’s dollars). In 2015, the fund received approximately $308.5 million (or $327 million in today’s dollars). That’s a decrease of about 10% in real terms, despite the fact that the Association of Civil Engineers has given Maine a D on roads, essentially unchanged since 2008. Moreover, whereas the federal government has supplemented its declining revenues with other sources (with questionable legality), Maine cannot do the same. So how did we get in this mess? The answer is that the tax is poorly targeted and creates perverse incentives. Let’s start with the targeting question. Taxes are supposed to do several things, from an economic viewpoint: raise revenue and change behavior. In this case, the tax is primarily to raise revenue for the highway system. Some environmentalists would also like to see the gasoline tax used to reduce the demand for and usage of gasoline, as one of the culprits in climate change, but the two objectives are fundamentally at odds, for several reasons. First, if the revenue from a tax is used to fund a particular program, then the tax should be designed to bring in a sustainable amount of revenue year after year. In this case, the revenue from the gasoline tax has been declining year after year. This decline is due to both technological advances and changes in demand. Average fuel economy for passenger cars has been generally rising since 2000, and the trend has been similar for trucks since about 2004. Average fuel economy for both cars now stands at about double what it was in the 1970s, meaning today’s cars can travel twice the mileage on a tank of gas than they could back in the 70s. That’s great news for the environment, but not great news for those who depend upon the revenue from the gas tax. Second, even as the Maine population increases, the number of miles driven has not increased. In fact, whereas you normally might expect to see people driving more miles as it becomes cheaper to do so, we aren’t seeing such a trend. In fact, while Mainers drove about 14,925 in 2005, that number actually dropped to 14,838 in 2016. So, the revenue from the gas tax has been hit doubly hard: the average miles per gallon has increased, while the number of miles driven per year has decreased. We could of course increase the gasoline tax (it hasn’t been increased since 2011), but that is likely to further dampen the demand for purchases of gasoline. So, what to do? We could, of course, follow Governor LePage’s recommendation and impose a surcharge on hybrid and electric vehicles. In one way, that would address the “free rider” problem that some analysts have pointed out: that owners of hybrid and other fuel-efficient vehicles use the highways as much as others, but don’t pay their “fair share” to the highway fund. Ultimately, though, that would not solve the problem, because the gas tax is poorly targeted in the first place. The wear and tear on our infrastructure is tied to the usage of the highway, which is only imperfectly proxied by gallons of gasoline purchased. A better targeted tax would be to impose a tax on vehicle miles driven, like the one currently being studied by the Colorado Department of Transportation. Of course, such a system would require some method of tracking number of miles driven, either through electronic monitoring such as those already in place on tolled highways, or through some other system. Climate change is expected to have a number of effects in Maine, including coastal flooding, sea level rise, and changing precipitation patterns, among others. Many efforts are already underway to help protect communities from those effects, including zoning changes, new building requirements, armoring or elevating critical infrastructure, and the like. These efforts all fall under the heading “climate resiliency planning,” as they make a community more resilient to the disruptions wrought by changing weather patterns. Ensuring that a local economy is resilient to climate disruption is nearly as important as physical resiliency. The local economy is a complex web of interactions between customers, workers, businesses, non-profits, and government agencies within the region. Economic resiliency planning can help to make sure that that web does not break – or, at least, is easily rebuilt – after a disaster. Current approaches to assessing the impact of climate change too often ignore economic changes that are likely to occur. Climate change poses physical threats to current businesses, true, but it also poses economic ones, as supply chains dry up, input prices rise, or competitive advantages shift. Focusing on preserving the economic status quo will do little good if advancing sea level rise and increasingly variable weather patterns result in a markedly changed economic landscape. The first step in developing an economic resiliency plan for a local economy is to anticipate the likely physical changes that will accompany climate change, by taking a look at what areas of a particular municipality are likely to be impacted by certain events. If you’re located on the coast, or if your town center is situated near a river, as is the case for many Maine towns, flooding from hurricanes or other large storms might be a priority. Or, access may be more of an issue. If your town has one or two main routes in and out of town, how likely are these routes to be block by high water, or by downed trees from wind damage? Many communities have already begun this work, through projections from the National Oceanic and Atmospheric Administration (NOAA) or from the United States Environmental Protection Agency. Through this work, communities can get an idea of what physical assets are at risk from climate-related events. Next, establish a baseline. What are the largest employers in the municipality? What are the largest sources of tax revenue? What are the key industries, and what is the sectoral composition of the economic base? Where do most of the non-resident employers live, and what routes are they likely to take to work? This will create a starting point to assess the local economy’s vulnerability to climate-related disruption. The results may not always be what you think. For example, many of Maine’s historically most important industries – agriculture, forestry, fishing, and tourism – depend heavily on the climate. The output from these industries is likely to be directly impacted by any climate disruptions. Agriculture, for example, could be both positively and negatively affected by climate change, as higher temperatures lead to a longer growing season, but also to increased need for irrigation. These are the industries that are deemed “climate-sensitive in supply” by economists. But there are also industries that are “climate-sensitive in demand” – where consumer demand for goods and services is likely to be affected by changing weather patterns or the physical effects that come with them. Tourism, certainly, is one of these (both positively and negatively). Energy is another. Less obvious, perhaps, are the effects of underlying price changes and linkages between industries. Let’s give an example. Suppose that an increase in hot, humid weather in the northeast leads to increased demand for air-conditioning. (Most areas in Maine now see fewer than four days a year when the heat index rises above 95 F, but that is predicted to change under most projections.) The increased demand for air-conditioning will likely lead to increased electricity prices. Those higher prices will ripple through the economy, affecting everything from family’s budgets to food prices to costs to businesses. Finally, labor productivity might be affected by climate change. Why? For those of us who have jobs in air-conditioned buildings, and as such are relatively shielded from the climate, the outdoor temperature might not affect our productivity. But for the proportion of Maine workers who work outside, or do not have access to air conditioning, heat-related stress can be a factor, much as it is for livestock in Maine. Moreover, the effect of warmer temperatures on growing seasons works for pollen-producing plants as well, leading to increased rates of asthma and allergies. The spread of insect-borne diseases, such as Lyme, may affect productivity as well (not to mention impacting the health care sector). Once the likely changes to the local economy are anticipated, policies can be put in place to help reduce risks. Some of these policies might include encouraging local businesses to engage in disaster preparedness with others rather than in isolation, developing a directory of local businesses that can assist in rebuilding after a disaster, and identifying alternative procurement routes in case of a disruption in transportation infrastructure. Planning for economic resiliency is less about rebuilding the day after a disaster, and more about planning so that economic disruptions are minimized should a disaster occur. And it doesn’t have to be a stand-alone process. In fact, it shouldn’t be. Planning for economic resiliency should be integrated into planning efforts at all levels, from economic development to housing and infrastructure planning. While a disaster almost by definition is unpredictable, we do have the ability to anticipate the changes that will come with a changing climate. We should take the time now to ensure that those changes don’t derail the local economy. *Photo Credit: Maine Emergency Management Agency. Flooding in Gardiner, Maine. 2013. Can Maine benefit from mining? With Maine’s forested lands and iconic rocky shoreline, the notion that forestry and fishing were once the mainstays of Maine’s economy should come as no surprise to anyone familiar with the state. But mining? Well, yes – although you wouldn’t know it from looking at today’s employment figures. But in addition to the geological phenomena that endowed Maine with its rocky soil and many lakes, Maine was also blessed with an abundance of minerals from volcanic activity – at least in certain areas. In the late 1800s, Maine experienced something of a mini-boom in metallic mining – mining for iron, silver, copper, and zinc. However, a sudden drop in prices led to the abrupt decline of the industry, and Maine did not experience much mining activity until World War II. In the mid-1970s, however, increased mineral exploration led to the development of several important caches, mainly copper, zinc, and lead. Those deposits have not been mined – yet. Why? The answer is complicated, but it has to do (at least partially) with the Callahan Mine, near Brooksville, ME in Hancock County. After the zinc and copper mine ceased operation in 1972, the area was found to be contaminated with polychlorinated biphenyls (PCBs), arsenic, and lead, among other heavy metals. The Environmental Protection Agency began a remedial investigation in 2004, with remedial action beginning in 2010. Clean-up is on-going, with passive treatment systems installed within the tailings impoundment and the removal of contaminated soils, either disposed of off-site or placed within a confined aquatic disposal (CAD) cell in another abandoned mine pit (Goose Pond). Full cleanup is expected to cost at least $23 million. Unfortunately, even though remediation activities are ongoing more than 40 years after the site closed, groundwater at the site is still considered unfit for human consumption, and shore birds and other organisms are at risk. Part of the former mine site is located within the Goose Pond Estuary. Within this context, the Maine legislature passed mining restrictions in the early 1990s that effectively prohibited metal mining. As a result, any mining activity in Maine was restricted to non-metallic mining (quarrying for rock, for example), at least until 2012. While there still has been no active metallic mining since the 1990s, there sure has been a lot of activity. In 2012, the Maine Department of Environmental Protection was directed by the Legislature to “modernize” the state’s 20 year old mining rules. The new rules consisted of two parts: a section requiring permits for mineral exploration; and a section regarding the permitting process for mining-related activities. The first part was adopted in 2013, but the second part was not approved by the legislature, hence creating an inconsistency between the existing mining rules and the Mining Act. The result has been a regulatory mess. In May of 2015, the Legislature’s Environment and Natural Resource Committee voted 8-5 to amend these rules again, but the resulting amendment failed to pass the Legislature. By this time, both pro- and anti- mining positions were firmly entrenched. Most recently, the Board of Environmental Protection voted unanimously to endorse a new set of regulations. The proposed regulations attempt to resolve some of the shortcomings that had been pointed out last year. However, questions remain. As an environmental and natural resource economist, my job is to look at the potential costs and benefits of any proposed legislation. On the benefits side are the potential jobs and increased tax revenue that could come about from any development. On the costs side, of course, are the possible negative effects on the environment. Let’s take a look at the benefits side of the equation. Anthony Hourihan, director of land development for Irving (a mining company with interests in Bald Mountain, one of the sites at the center of this debate), suggested that allowing this type of mining in Maine could result in 300 direct jobs and 400 indirect jobs, and a projection of $126 million in state and local taxes. Given that the proposed mining area lies in Aroostook county, an area of the state that experiences chronic persistent poverty and currently has an unemployment rate of 5 percent (as compared to 3.8% statewide and only 3.1% in Cumberland County), that is no small benefit. But who will get these jobs? Mining is not primarily a blue collar occupation any more -in fact, writes Phillipe Dolzone , a writer for the Balance, an online financial advice site, “The increasing complexity of the mining process and involved technology nowadays requires a much higher level of skills, including computer literacy. As a result, most of the mining groups will more likely hire recently graduated students from high school programs in mining or technical school programs.” Currently, Maine has none of these. So the first step in ensuring these jobs go to locals is to encourage any mining company that wants to establish a presence in Maine to incorporate a local training program, perhaps by partnering with a local Community college or trade school. One of the pitfalls of this “potential jobs” argument is just that- the jobs are potential. The job of a good economic development director is to ensure that those promised jobs do, in fact, materialize. While a return to the days of mining camps is unlikely in Maine, companies may find it less costly to import talent from elsewhere rather than to foster it locally. That may also be a boon to the area -if families come to Aroostook county for the mines and decide to stay, that itself is economic development. It really depends on how long the mining activity is expected to last at a particular site. That, in turn, depends on the amount of reserves at the site and the rate of extraction, which in turn is determined by the price of the minerals and the cost of the technology needed to remove them. That was the easy part. Now to look at the potential costs. Open pit mining, which is the most common method and that most likely to be used in Maine, has the potential to expose radioactive elements, as well as potentially contaminate groundwater and surface water. As minerals may be present in small quantities in a geographic area, large quantities of ore need to be refined to get at it. Contaminants may be released into the water through separation of the minerals from the surrounding rock, where slurry containing mine tailings, water, and pulverized rock (which may in itself contain toxic or radioactive materials) is created. Other potential environmental costs are disruption to ecosystems and endangered species habitat, large scale water extraction, and erosion. Finally, some environmental groups have expressed concern that mining activity could affect Maine’s tourism industry. To minimize these costs (and to maximize net benefit), the tailings or residue from mining activity must be contained and disposed of in a way that doesn’t adversely affect sediments, groundwater or surface water. Much of the waste that is generated is likely to be toxic or radioactive, and so proper disposal is essential. Likewise, in order to minimize the harm done, proper siting techniques need to be used. The mine’s footprint, including any access roads, must be sited in such a way that they don’t impact sensitive areas or endangered species habitat, or have the potential to increase flooding, deforestation, or erosion. The biggest issues in the current fight over mining rules in Maine seem to be about both where mining can and can’t occur, and what safeguards (environmental and financial) are in place to ensure restoration of the site after mining activities cease, as well as to pay for clean up should a disaster occur. There are potential benefits and costs to mining in Maine. The job of good policy is to ensure that institutions are in place to maximize the benefits and minimize the costs – as well as to ensure an equitable distribution of costs and benefits. These include policies on local hiring, training and education, proper siting, and financial safeguards. Only then should each proposal be evaluated on its own merits. I personally would like to see more economic development in Aroostook County. But only if that development does not come at excessive cost to the environment and to other industry. What are your thoughts? Post them here! My most recent blog post, “The Social Cost of Carbon: Implications for Maine (Part I),” went into some of the details behind calculating the social cost of carbon – a number that is used to illustrate the economic damages anticipated by climate change and therefore linked to carbon dioxide emissions. This blog post will be a bit more policy oriented. Once we arrive at a social cost of carbon, what do we do with it? How can we use it to reduce the amount of carbon that’s emitted into the atmosphere? Essentially, there are three policy options to reduce climate change. One is what economists like to call “command and control.” This is standard regulation – where each company or industry is given a standard beyond which they are not allowed to pollute. If they are found to have polluted beyond that standard, they are then (typically) fined a certain amount. A third option is to implement a trading scheme. The idea is simple: firms are distributed a certain number of permits or “rights” to pollute. (The permits could be initially distributed free of charge, or the permits could be auctioned off.) Firms that could then reduce a unit of pollution more cheaply than the permit price would do so, and sell the unused permit on the market to other firms that have a more difficult time reducing pollution. The firm’s incentive to reduce is the price that they get from selling their permit. Creating a market like this is not without its difficulties, and markets for pollution have met with varying degrees of success. One pollution market close to home is RGGI, the Regional Greenhouse Gas Initiative, which is the topic of one of my earlier blog posts. The revenue gained from auctioning off the permits goes to energy-saving initiatives. A second major difficulty (what I like to call the “liberal’s paradox) is that implementing a carbon price will necessarily be regressive – the burden of the tax will be felt disproportionately among lower-income households. A price on carbon – whether it’s a tax or a permit system – will raise the price of carbon-intensive goods and services, such as fossil fuels and conventionally-generated electricity. Low-income households spend a higher percentage of their income on fuel and electricity than do higher-income households. What to do? It turns out that what you do with the revenue from the tax (“revenue recycling”) can moderate or even negate the regressivity of the tax. The think tank Resources for the Future (RFF) has published a series of articles addressing this very topic. I’m going to address three possibilities for revenue recycling. Two of them have to do with reducing taxes on other things – shifting the burden from taxing economic “goods” (like income and labor) to taxing economic “bads” (like pollution). (After all, if part of the point of a tax is to alter behavior, why tax good things like income and employment?) The third has to do with returning the revenue directly to the people. So I’m going to focus on three alternatives: tax carbon, but lower the tax on labor income; tax carbon, but lower the tax on capital income; and tax carbon, but return the revenue to the people in the form of a dividend or a lump-sum rebate. What they find, summarized, is this: the labor tax recycling scenario found that almost all groups ended up slightly worse off (the groups’ welfare or well-being declined by less than a half of a percent), but that the highest income group ended up with the biggest decline in welfare. The capital tax recycling scheme benefited the highest income group, while generating a reduction in welfare for all other income groups of less than one percent. And the lump sum rebate scheme benefited the lowest income group by more than three percent, while harming the highest income group by almost two percent. From an efficiency perspective, the capital tax recycling scheme is the most efficient (that is, the policy that “distorts” the economy the least). Source: 2015. Williams, Roberton C., Burtraw, Dallas, and Morgenstern, Richard. “The Impacts of a US Carbon Tax across Income Groups and States.” Washington, DC: Resources for the Future). Why such differences? Largely, it has to do with where individuals earn their income. Generally speaking, high-income households get a larger percentage of their income from capital (stocks, bonds, and property), while middle-income people rely more heavily on income from labor. Low-income people typically get a larger percentage of their income from transfer payments, which not only include food stamps and unemployment insurance but also Social Security. That explains why lowering the tax on capital would exacerbate the regressiveness of the carbon tax, while lowering the tax on labor would be slightly progressive. What about here in Maine? I wasn’t able to get data directly for Maine, but only for New England as a whole. As it turns out, all the schemes end up diminishing the welfare of New England residents, but the lump-sum rebate actually performs the worst. Why? The answer mainly has to do with the fact that, overall, New Englanders receive a relatively high percentage of their income from capital as opposed to labor. How about Maine, though? Is that the case? Looking at the Bureau of Economic Analysis for 2015, I noticed that Mainers as a whole received about 60% of their personal income from wages and salaries. An additional 22.5% comes from personal transfer receipts, which include Social Security benefits, medical benefits, veterans’ benefits, and unemployment insurance benefits. (By far the majority of these personal transfer receipts are retirement income and income from other benefits, excluding unemployment insurance benefits and income maintenance programs such as general assistance.) A little less than 18% comes from capital and property income. By contrast, Connecticut receives about 66% of its personal income from wages and salaries, 12.8% from transfer payments, and over 21% from capital and property. This implies that lowering the tax on capital would not benefit the average Mainer as much as the average person from Connecticut – but without doing the calculations, I can’t be sure whether the labor tax recycling scheme or the lump sum dividend would be more or less welfare changing. Of course, the election on November 8 may have made this a moot point. Passing a carbon tax (or fee, as some like to call it) has had a difficult time in the past, and the election of Donald Trump has made that possibility more remote. Any action now is likely to arise at the state level – which is why state level analysis is crucial. Climate change will likely have a disproportionate effect on those who are least able to protect themselves. Any actions to mitigate climate change should not increase the injury. The concept of “social cost” in economics is nothing new, of course. Economists have long recognized that the production and consumption of certain goods produces negative externalities, or costs imposed on “third parties” who are not directly involved in producing or purchasing that good. Such externalities can be called social costs, and while it’s difficult to measure such social costs, environmental economists do their best (see, for example, my recent blog post on ecosystem services). So why this new article on the social cost of carbon, and why is it taking on a new importance now? 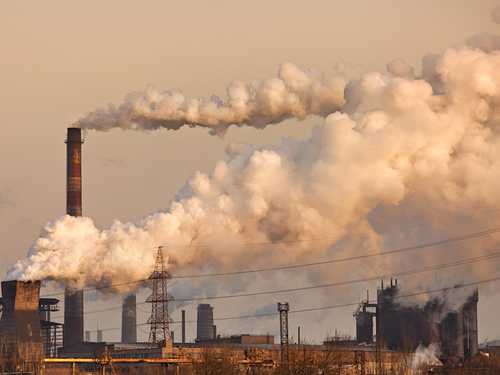 Because the social cost of carbon has now been upheld by a federal appeals court. The details of the case are not particularly important for our purposes here. Suffice it to say that, every time a federal agency imposes a regulation, they are required to demonstrate that the benefits of the regulation exceeds the costs. This particular case was about improving the efficiency of commercial refrigeration equipment. But if the government (in this case, the Department of Energy) wants to tighten efficiency standards, they need to show that the costs of meeting the new efficiency standards aren’t exceeded by the benefits. The costs of meeting the proposed standards are relatively easy to calculate. Refrigeration equipment companies might have to use new technologies or inputs, which are presumably more expensive than current methods. But how to calculate the benefits of tighter energy standards? Enter the social cost of carbon. The economic and scientific calculations that went into arriving at the social cost of carbon are mindboggling. The estimates used three well-known (well, well-known in certain circles) integrated assessment models that consider the linkages between climate processes and economic growth. These models translate emissions into atmospheric greenhouse concentrations, from there into changes in temperature, and finally from there into economic damages. It is an ambitious undertaking, and some would say an impossible one. There are so many uncertainties in any step along that chain. For example, the models are ill-equipped to deal with non-linearities or “tipping points.”. In addition, the damages from an additional unit of CO2 is unlikely to have a linear effect (as a price per ton of carbon would imply), but increase as more carbon is emitted into the atmosphere. Dealing with future costs is difficult as well, as it involves “discounting the future,” a sticky ethical and legal problem as well as an economic one. I am of the school of thought that “some number is better than no number.” Yes, the social cost of carbon as it stands now is highly imperfect and probably a gross under-estimate of the full social damages caused by a ton of carbon dioxide in the atmosphere. However, it is better than assigning a cost of zero, which would be the implicit price had the social cost of carbon not been considered. This blog is supposed to focus on the links between the economy and the environment in Maine. So far this blog post hasn’t done that – but be patient!. The next blog post will focus on some of the possible solutions in terms of mitigation of climate change via a tax or a trading scheme (specifically for Maine), and the last will sketch out what’s at stake for the state. Stay tuned! The Price of Everything and the Value of Nothing* – What are Ecosystem Services? In October of 2015, President Obama issued a memorandum directing all Federal agencies to factor the value of ecosystem services into Federal planning and decision-making. That necessarily begs the question: what are ecosystem services, and how are they relevant to the economy in Maine? Ecosystem services are the ways in which natural systems provide benefits to human society. The Millennium Ecosystem Assessment categorizes ecosystem services into four main classifications: provisioning service; regulating services; cultural services; and supporting services. Provisioning services is just what it sounds like – physical products provided by nature, such as water, food, and raw materials, among others. Regulating services are “benefits obtained from the regulation of ecosystem processes,” such as carbon sequestration, water purification, and soil stabilization. Cultural services are more difficult to measure, from an economist’s standpoint: if the lobster industry were to go into a tailspin, for example, the loss to Maine would be far greater than the lost revenue and income would suggest. We would also lose part of our culture, history, and identity. Finally, supporting services are those services that “support” the previous three – such as biodiversity, nutrient cycling, and photosynthesis. By its nature (pun very much intended! ), this is an anthropocentric concept. Ecologists and others will no doubt argue that nature or natural systems have intrinsic value, even if humans are unaffected by a specific ecosystem’s existence. I won’t argue with that. Nonetheless, quantifying and even valuing ecosystem services may be a way of bringing the benefits provided by a well-functioning ecological system into economic decision making. Otherwise, those services may well be disregarded. Many ecosystems on which Maine businesses depend are at risk, either through mismanagement, human intervention, or changing weather patterns. Ecosystem decline can pose a number of risks to businesses in Maine – as well as create new opportunities. A simple example: My hometown, Portland Maine, is now home to a burgeoning – and fantastic – micro-brew industry. Micro-breweries (well, any brewery, of course) rely heavily on clean water, hops, barley and malt in their input process. These are examples of provisioning services. Going a little bit deeper, the process also depends upon the regulating services of soil stabilization, climate regulation, water filtration, and pollination. And that’s just in the process of brewing the beer itself. There are also ecosystem services involved in the bottling / canning of the beer (think raw materials such as aluminum or silica), and in the distribution process. And this is only the input side of the equation. Identifying the ecosystem services relevant to a particular industry can serve two purposes: to pinpoint areas of dependence upon natural systems in order to better predict trends that may affect that industry in the future (certain hops-growing areas may be impacted by changes in growing conditions, for example); and to highlight the value of functioning ecosystems as a part of an industry’s supply chain. Once that value is recognized, the industry might see their own self-interest in managing those ecosystem services, so as to minimize their vulnerability. Well, that’s all very interesting, you might say, but how does it affect me, or businesses and organizations in Maine? Here’s my thought: if the White House is directing all Federal agencies to incorporate ecosystem services into decision-making, how far behind can states (at least the more forward thinking ones) be? Massachusetts already has a Division of Ecological Restoration. What about EPA regions? And once “ecosystem services” become a household name (OK, maybe a boardroom name), then the first movers, early adopters, and visionaries better be prepared. What are your thoughts? Post them here, email me at rachel@rbouvierconsulting.com, or visit my website at rbouvierconsulting.com. You can also like my Facebook page, here, or connect with me on Linkedin, here. Thanks! Woody Biomass: One step forward, two steps back? Last week I was a guest in my colleague’s Renewable Energy Law class. One of the questions I was asked had to do with Maine’s Renewable Portfolio Standard (RPS). Maine’s RPS seems, at first glance, to be an ambitious goal (40 percent of Maine’s electricity is to come from renewable sources by 2017). However, at the time the RPS was made law, Maine was already mostly meeting that goal, thanks to Maine’s booming woody biomass industry. Other states in the New England Power Network can help fulfill their own RPS by purchasing renewable energy certificates (RECS) from other states in the network. If a particular unit of energy is produced by a renewable source, that unit of energy could earn a REC, which could then be sold elsewhere. However, even though every state in New England has a RPS (except Vermont, which has a goal), they don’t all accept the same types of energy for their RPS. Hence, there are some RECS that can be sold in some states, but not others. Maine is the only state in New England that accepts biomass and large scale hydro to help fulfill its RPS. Therefore, any biomass facility that produces RECS can only sell them in Maine. In a report that came out detailing the performance of Maine’s RPS during the past year, a good 95% of the Maine RPS was met through RECS generated from biomass. And the fact that biomass credits can only be sold in Maine will depress the price of those credits -leading to less revenue for those facilities. Which lead to one of the students’ questions: why don’t the other states accept biomass? It’s a good question. Leaving aside the (obvious) conclusion that Maine accepts biomass as an energy source in order to prop up its ailing wood products industry, why would other states not accept it? Isn’t biomass a renewable source of energy? And isn’t it carbon neutral ? The answer, as any good economist knows, is “it depends.” (My father used to say -paraphrasing Harry Truman – that what the world needs is a one-handed economist, because we’re always saying ”on the one hand…. But on the other hand…” ) Biomass is certainly a renewable source, in the strict physical sense that the “fuel” used – plant matter – is renewable. The time it takes to regenerate, of course, depends on the growth rate of the plant matter used. But there’s also no escaping from the grim third law of thermodynamics – that matter (or energy) can neither be created nor destroyed. It takes power to make power. How efficient the energy source is depends upon the energy content of the fuel and the energy used up in the process of making it. Think lifecycle analysis. If a unit of energy generated requires two units of energy in order to generate it, then that source isn’t really renewable – is it? Absolutely, Bill, and thanks for that. (So people actually do read this stuff…) Check out their website! Biofuel can be made from a number of things: corn, switch grass, trees, wood manufacturing waste, to name a few. And there are a number of ways biofuel can be produced – burned, fermented, digested by bacteria, or “gasified.” The energy content of the fuel as well as the energy input needed vary widely for each process. What about the claim that it’s sustainable? Again, it depends. If the trees are harvested at the same rate they regenerate, then yes. And, Maine’s biomass is mostly from residue from the forest products industry, so the use of waste product for energy gets a thumbs up in my book. Recently, two major biomass facilities in Maine went offline, alarming the logging industry and others in the forest products supply chain. It also should alarm environmentalists. The decline in oil prices has not only boosted demand for oil, but depressed demand for biomass and other renewable sources of energy. Biomass may not be a perfect source of energy, but it needs to be part of the energy solution in Maine. Like seemingly everyone else in the entire state of Maine, I found it difficult to get much work done during the summer. So, although I said in my most recent post that I would write more about the proposed Clean Power Plan, it’s taken a bit longer than I thought. I know you’re all waiting with bated breath…. In my most recent post, I discussed some of the details of the proposed Clean Power Plan. Since then, after analyzing comments from stakeholders and constituents from around the country, the plan has been updated. The final version allows for significantly more flexibility than the proposed version in how states measure and achieve compliance, pairs the rule with incentive programs, and requires states to address grid reliability in their compliance plans. Click here for details. However, that’s not what I wanted this blog post to be about. I wanted to focus on the benefits of the rule for the state of Maine. Maine has sometimes been called the tailpipe of America, given its position downwind of Midwestern industrial states and of the northeast metropolitan corridor. These airborne emissions from factories and from coal-fired plants contain not only carbon dioxide, but sulfur dioxide, mercury, and particulate matter, among other contaminants. These contaminants can wreak havoc on people’s lungs, heart, and overall health, as well as contribute to ground-level ozone, obstructing many of Maine’s most iconic views. Here’s the way an environmental economist would go about it. First, engineers would need to estimate by how much each “affected facility” would be able to reduce its emissions of various contaminants. Although this seems like a daunting task, it can be done. One way to do it is to predict how a typical facility will respond to the regulation (by reducing its output, changing its fuel use, or installing new pollution reduction equipment). Then, those engineers would need to estimate the reduction in emissions that would result. While firms in Maine will not be affected by this rule to the same extent as firms in other states (see my previous blog post), states upwind of us will. It’s the reduction in those emissions that’s the most significant to Maine. Second, another set of scientists would need to run that data through a “fate and transport” model. The idea here is that different contaminants, once they’re released into the atmosphere, behave in different ways. Some, like carbon dioxide, are what we may call “uniformly mixed pollutants.” In other words, once they’re released, they immediately disperse into the atmosphere. Others, like sulfur dioxide or particulate matter, are local pollutants. They tend to stick around in the general vicinity where they’re released, depending on things like the prevailing wind direction, the height of the “stack” (or chimney) from which they were released, or the “exit velocity” (the speed at which they were released). And, as anyone who’s studied any chemistry knows, some contaminants have a longer half-life than others, and some may even degrade into more harmful chemicals than at first, or even combine with other chemicals to form more dangerous compounds. Once this is done (and scientists do have sophisticated models that can allow them to study this in detail), we can tell with a reasonable degree of certainty, what type of contaminants (and how much) will NOT be falling on Maine as a result of this rule. Generally, we can expect to see a reduction in the following contaminants: particulate matter, sulfur dioxide, nitrogen oxides, and, of course, carbon dioxide. Finally, we can link that data with the probable health effects associated with those contaminants. That’s (finally) where an environmental economist would come in. Asthma is caused by a number of different factors, but it is aggravated by “particulate matter,” or small particles that are emitted from the incomplete combustion of fossil fuels and other substances. These particulates can lodge in the lungs, making it difficult to breathe. So, what are the economic effects of a high asthma rate? Economists tend to measure the direct costs ( doctors’ visits, medications, hospitalization, etc. ), as well as the opportunity costs (days taken off from work to spend with a sick child, etc). That can add up quickly. More difficult to measure, but no less significant, is lost productivity. How much more economically productive could someone be, if she didn’t have a respiratory disease that – literally – slowed her down? Particulate matter is also associated with reduced lung capacity, nonfatal heart attacks (which actually can be fatal in people with pre-existing conditions), and irritation of the airways. And these are only the health effects. Particulate matter is increasingly a problem when it combines with sunlight to produce ground level ozone, which decrease your enjoyment of the view from Mt. Katahdin, or when it is deposited in Maine’s lakes or streams, changing their basic chemistry and affecting the integrity of the ecological system. And this is just one contaminant. Other contaminants likely to be reduced include, as stated, carbon dioxide, sulfur dioxide, and nitrogen oxides. Add in those costs of human diseases health effects and other ecological damages related to these contaminants, and we’re talking real money. This is the biggest problem that I see with passing reasonable, beneficial environmental regulations. Those opposed to such regulations have a wealth of data at their fingertips detailing the costs of compliance. It’s very easy to show that complying with a certain regulation (installing pollution control technology, for example, or using a more expensive but “cleaner” production process) will cost money, or jobs. Less simple is detailing the benefits of reducing harmful pollution. And for some, that difference could literally be a matter of life and death.